When you need to purchase quality hot tub covers in the Hickory area, come to S & H Pools. Covering your hot tub in the Hickory, North Carolina area is very important if you want to keep it clean and well-maintained. Hot tub covers protect your hot tub as well as friends and family members, and will reduce the amount of maintenance needed for your hot tub. At S & H Pools, we have great hot tub covers for any size and model of hot tub for you to choose from. All outdoor hot tubs need protection from dirt, leaves, animals, and harsh weather. Without proper hot tub covers, your hot tub or spa will become dirty very quickly, which means more cleaning and maintenance for you. 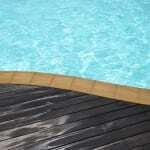 Save yourself the trouble by investing in a quality hot tub cover from S & H Pools. Our team is experienced and knowledgeable about all the aspects of hot tub covers, so we can help you choose the best cover for your hot tub without confusion or stress. Covering your hot tub can also help it run more efficiently. It keeps heat from escaping the hot tub while not in use, which means the system doesn’t have to work as hard to maintain temperature. When your hot tub runs smoothly and efficiently it will continue to work well for many years and won’t wear out. When you need to purchase quality hot tub covers, come to S & H Pools. We have been serving our customers in the Hickory area for over 37 years, and have always strived to provide quality products and customer service. Give us a call today for more information!